If all the bells ring together at noon, at what time will they next all ring together? This problem requires the use of LCM. How many palindromic numbers can you find? Each different letter stands for a different digit. Can you make sense of this word sum? A Maths Starter activity requiring students to arrange Christmas ornaments in a square box. Work out the total cost of five Christmas presents from the information given. Which of the two shapes has the largest area? You will be surprised! Answer the mental arithmetic questions then convert the answers to letters to find the joke. This starter requires you to write out a difficult times table. Arrange the numbers on the snowballs so that no two consecutive numbers are directly connected by rope. Work out the number of clowns and horses given the number of heads and feet. How many different ways can you spell out the word "Snowman" by moving from snowflake to snowflake. Draw a picture of a Christmas tree using only square numbers. Find a power of 2 and a power of 3 that are consecutive numbers. Find as many sets of three of the available numbers as possible which add up to the given total. A Maths puzzle based on the 12 Days of Christmas song. In addition to our Christmas activities see also our huge collection of Fun Maths games, puzzles and challenges. The huge collection of End of Term activities might also be of interest to you. Christmas activities make those December Maths lessons interesting, exciting and relevant. 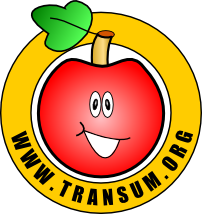 Whether mathematical activities are presented in a Christmas themed way or, due to the festive mood, normal mathematics learning is replaced with puzzles, games and seasonal fun, you can be sure that we have some excellent ideas for you here on the Transum website. That last week of term before the Christmas holiday is the perfect time to ensure that pupils develop a delight in mathematics by seeing it in an exciting, enjoyable and engaging way (more exciting, enjoyable and engaging than the rest of the term that is!). Just to add a little more traditional festive fun to December lessons you could visit the Maths Advent Calendar each day to open a door. Light up the Christmas Tree by flashing numbered lights according your own number pattern. How many gifts did my true love send to me according to the traditional Christmas song 'Twelve Days of Christmas'. Colour in the Christmas picture according to the properties of the numbers. After working out which vowels are missing from the Christmas words do some basic calculations. Drag the lights onto the positions indicated on the tree. Arrange the lights so that no two consecutive numbers are joined by a wire. A hands on activity requiring students to arrange Christmas ornaments in a square box. Work out the cost of the Christmas presents from the information given. Rearrange the tiles to form a Christmas picture. Find the right combination of button presses to turn all of the Christmas tree lights on. Use the lights provided to decorate each of the Christmas trees so that no two trees are the same. Tangram Christmas Tree: Accurately construct a tangram puzzle then use it to make a Christmas tree and answer a short quiz. Xmas Facts and Figures: How long can Santa spend at each home delivering presents? This and other festive questions answered. Xmas Wrapping Maths: Did you know there is a formula for calculating the amount of wrapping paper needed? Pudding Weights: Fill in the gaps with the weights of the puddings. A printable worksheet. Snowman Worksheet: This printable may help pupils work out how many different ways there are to spell snowman on the snow flake grid. Xmas Ornaments Grids: Three different grids for the Christmas Ornaments puzzle. Xmaths Card: A printable Christmaths card containing mathematical jokes and a puzzle.